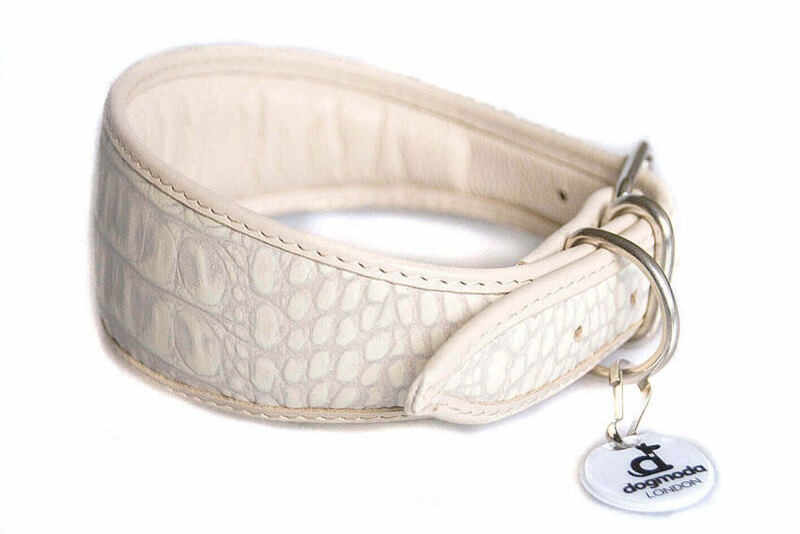 Traditional greyhound / whippet collar designed and handmade by us from luxurious real leather with snake pattern leather in white grey colour. 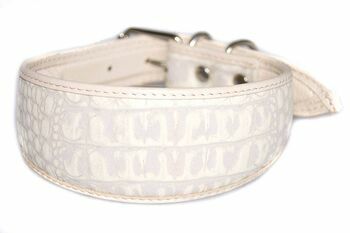 White leather collar embossed with reptile skin imitation pattern and finished with matching off white piping. Will suit black, grey and all shades of blue, white and silver hounds. Combining style, practicality and comfort this handmade leather sighthound shaped collar is strong, durable yet lightweight and extremely comfortable on long delicate necks. 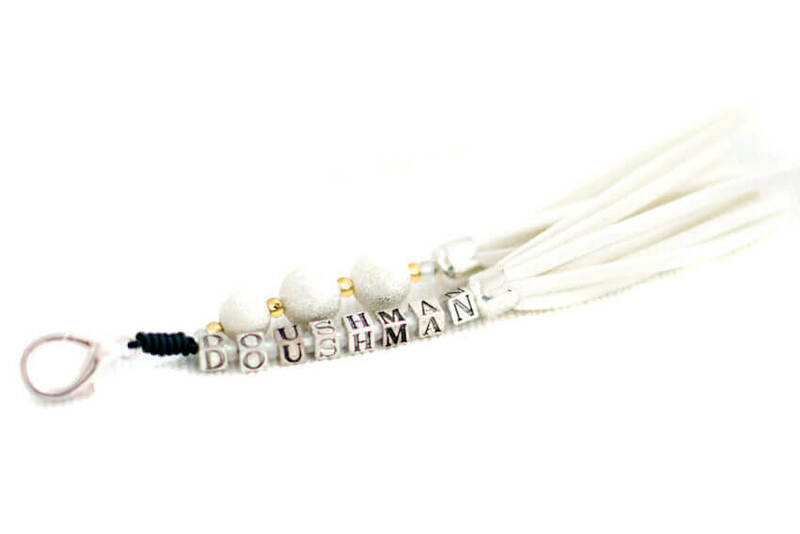 Handmade using strong solid D rings, high quality rivets, reinforced by double stitching, fully padded throughout and and finished with genuine white leather lining along the whole length of the collar. 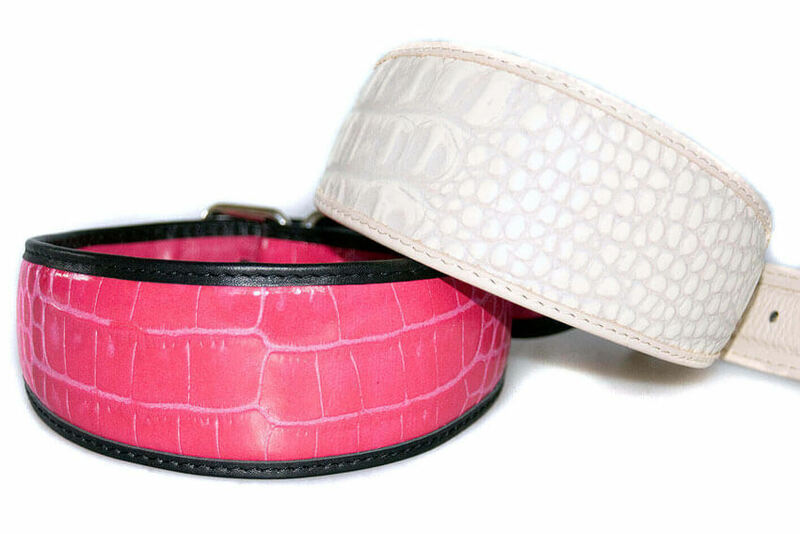 Due to the nature of this leather pattern no two hound collars are the same, each collar is unique. I adore this lovely hound collar. So does my new puppy!